We believe in strengthening what we - as a network - already have. So instead of working under pressure of external sustainability labels, we use our position in the middle of the coffee value chain to inspire a cleaner, more honest and integrated system. A great start for us is to look at we dispose, and and improving that to sustainable business models. We’re running projects on using less virgin packaging, but also on finding new ways of using coffee sludge. Next to that, we feel very inspired to be working with cascara - the discarded coffee cherry. Lots of opportunities for this waste product! We do what we can to mitigate our carbon emissions. Unfortunately, we see the first effects of climate change happening in our chain. Therefore we’re investing in knowledge, skills and practical solutions to become climate proof and sustain businesses for everyone in our network. One of the things we’re working on is developing Specialty Robusta coffee. 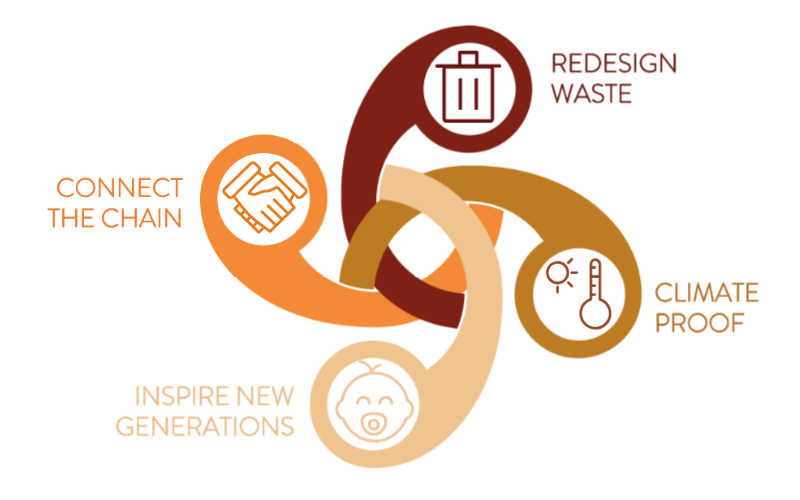 Circularity to us is more than just reusing waste materials into new products. It’s also about having a sustainable social cycle of new generations continuing in coffee. We treat our coffee producing partners as equal partners, as entrepreneurs just like us. It allows for investments, honest conversations, and a hopeful future for the next generations. We’re making the circle round - beyond connecting roasters, we even connect the end-consumers with coffee-producers. It’s here where mutual understanding is created and where the human touch is really felt. It is here where we disconnect coffee from its shady colonial roots. We use the means of social media next to organising the “Field barista project”, among other things. All these four elements are interrelated and strengthen each other. They are not set in stone either. We’re constantly improving ourselves and our system to act more transparent, more honest, more sustainable, and as a result: more circular. We found a way to connect the end consumer to the coffee farmer far away. Without much effort, they can now help each other through better consumer choices. We do this with a fund that invests in better agricultural practices. For three years, we've been sending baristas to Colombia to help our partner Juan Pablo Lasso Argote and his family with the harvest. 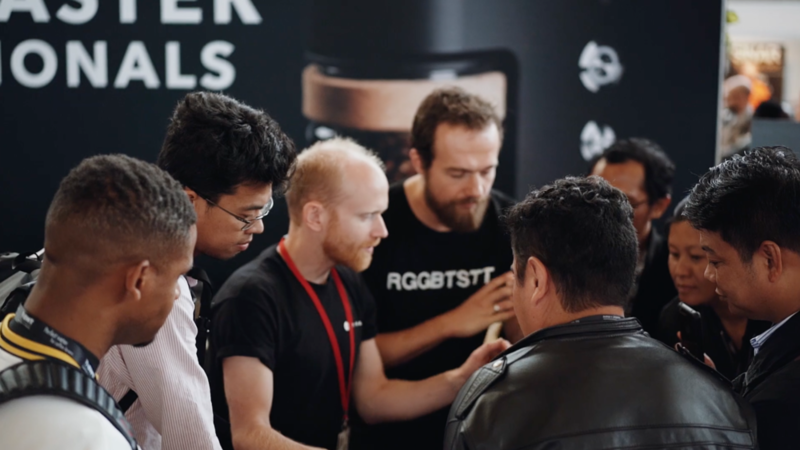 It turns out a lot of innovation happens when you intimately and equally connect both ends of the coffee value chain. While we are developing cascara in all our origins, we figured we can't live up to our promise of higher farmer income if there isn't a bigger market for it. We started working with people across fields to experiment with and share knowledge about this amazing product. 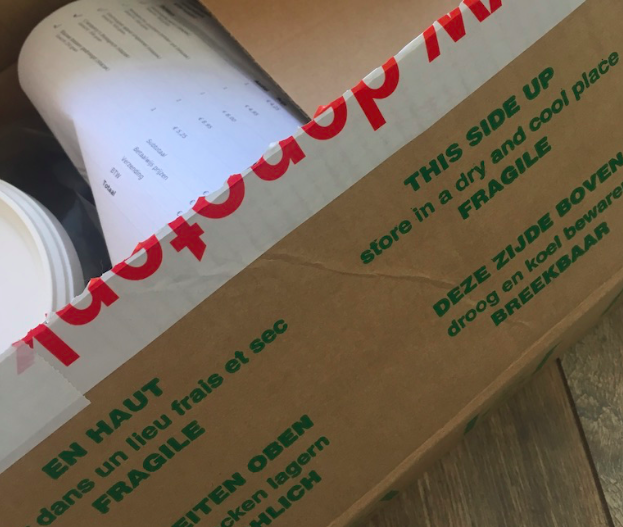 The specialty coffee industry uses a lot of packaging. Cardboard boxes are bought brand new, while other firms pay high prices to get rid of them. Why not connect these parties, so they can save money, and reduce environmental impact? In 2017, all our partner producers from 11 countries got together to absorb knowledge from each other. We think exchange between farmers is a massively underused asset, and we’re proud that these connections are thriving even more today. Coffee sludge has a huge nutrional value after it has been used to make coffee. We found out that roasters, cafés and Dutch farmers struggle to find each other, even though much of the logistics exist. So we decided to connect them.